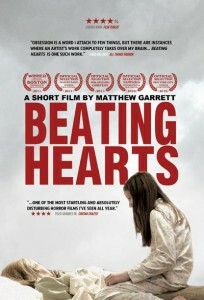 Two new, striking posters for Matthew Garrett‘s award-winning horror short film Beating Hearts have been uploaded to the Underground Film Journal’s image gallery. Click each one to embiggen. 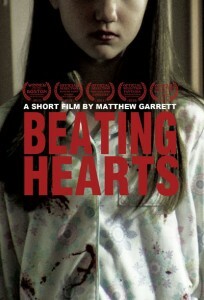 Both posters smartly focus on the film’s very convincing young star, Gianna Bruzzese. The Underground Film Journal reviewed the film a few months ago. The film took home the Boston Underground Film Festival’s Director’s Choice Award this year.